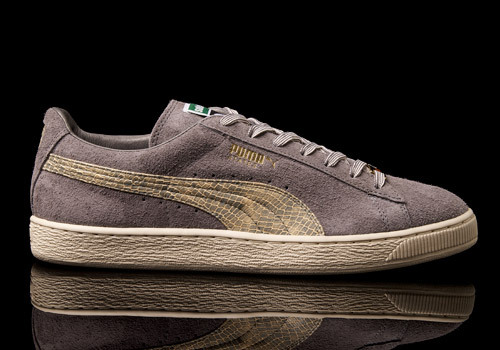 What better way for Solebox to celebrate ten years of success than with a modern and unique take on the PUMA States? 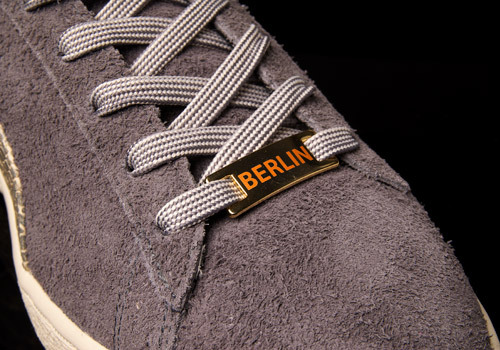 Berlin boutique Solebox celebrates their ten year anniversary marked by this collaboration with long time associates PUMA. The two German groups come together to create a set of States in three appealing colourways. 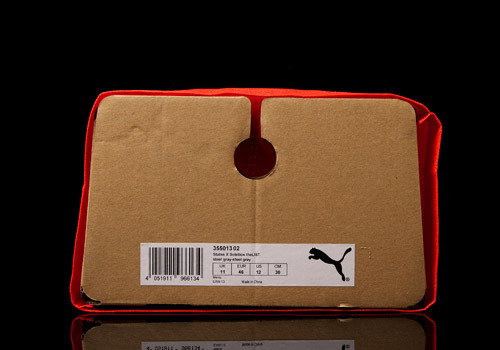 This isn’t the first time the German retailer has teamed up with PUMA to create something special. Fans of both the store and the brand will remember the Clyde they produced not too long ago and this latest creation is reminiscent of that. 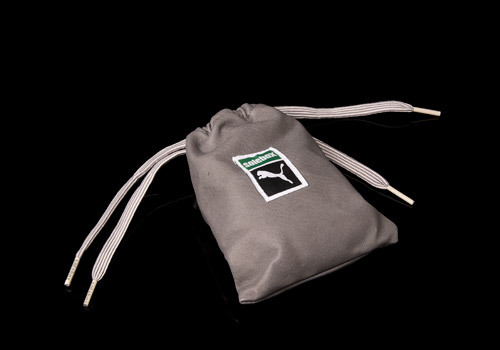 The pack features three colourways: grey, black, and ‘ermine’ brown. 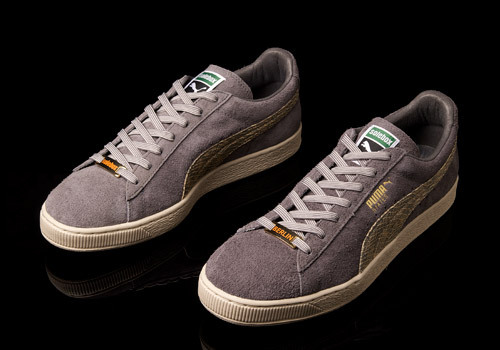 The simplicity of the PUMA States makes creating a fresh design a bit of a challenge but with choosing more restrained colourways and mixing it with the luxurious feel of snakeskin gives a really clean and classic low-top sneaker. 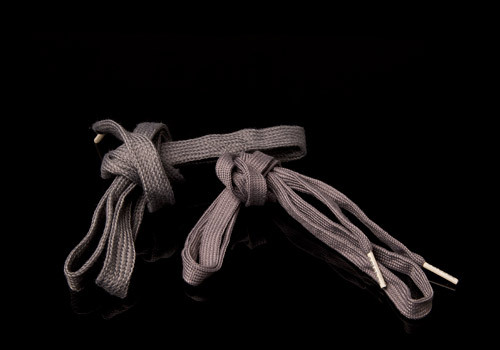 This grey colourway in particular is my personal favourite. The tone of grey is smooth and works best with the particular colour of the snakeskin. 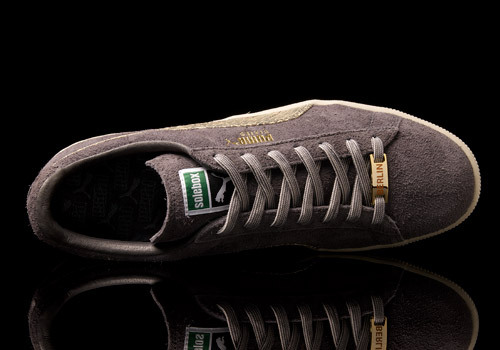 The shoe boasts a premium suede upper, a single tonal lining, and white outsoles. 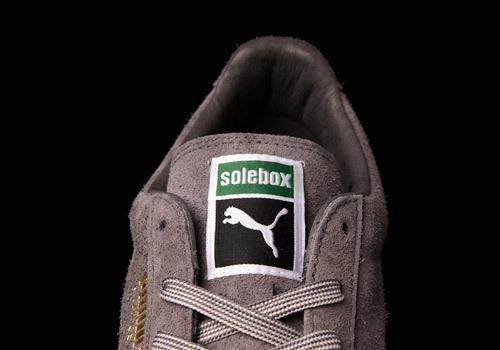 Solebox replaces the word PUMA on the tongue, which you have to admit doesn’t look out of place. 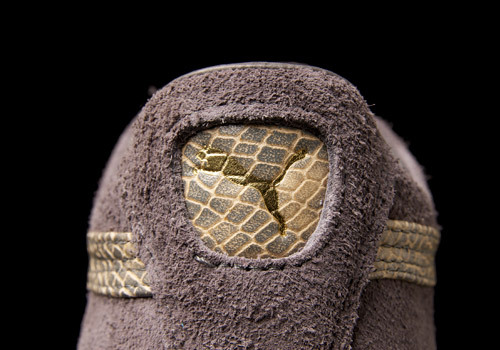 The scaly snakeskin is something you’d expect to see for 2013, dropping a month before Chinese New Year which happens to be year of the snake: coincidence or done purposefully? You can decide for yourself. 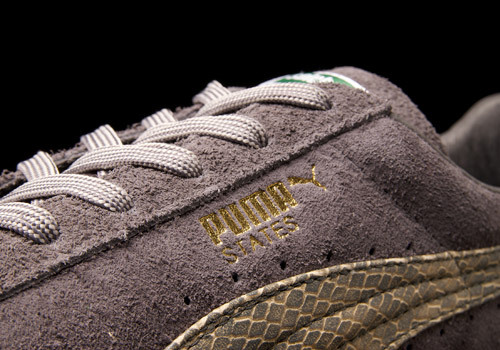 The Solebox x PUMA States came out with only one hundred pairs in each of the three colourways and were sold exclusively in-person at the Berlin location as well as through their online store making them much sought after even before they were released. 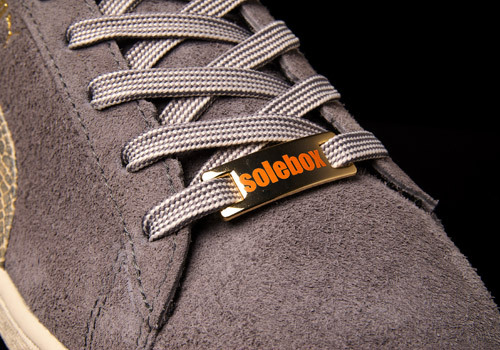 Selecting such an iconic shoe to make your own is always going to be a tough task regardless of how many times you’ve done it before but Solebox have managed to do justice to the model. 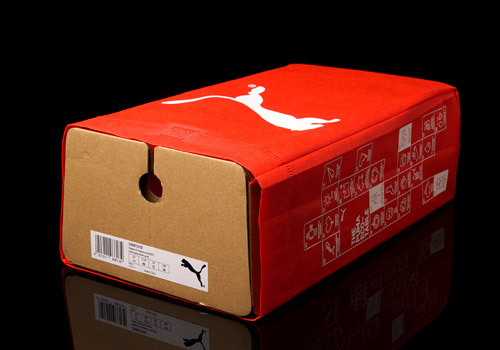 With a range of colourways that are sure to put a smile on even the most selective of PUMA fans, if Solebox can produce something as quality as this, then I hope to see more group efforts between them and their friends at PUMA. Here’s to another ten years at Solebox!